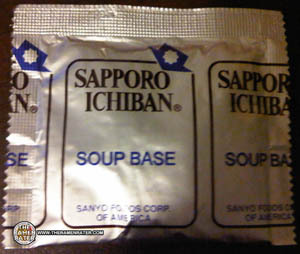 ‘So I believe that this is the last of the Sapporo Ichiban regular ramens to try. I have a feeling is will be either soy or miso taste. One packet, no surprise here. 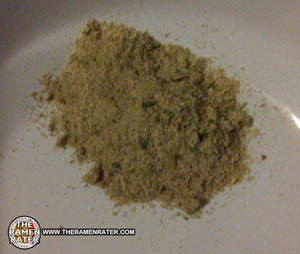 A reasonable amount of flavoring. Notice though that there’s no veggies going on. Click image to enlarge. Finished! I dropped an egg in with the noodles as they boiled. This was a very nice tasty bowl of soup. It did indeed have a very soy flavor. 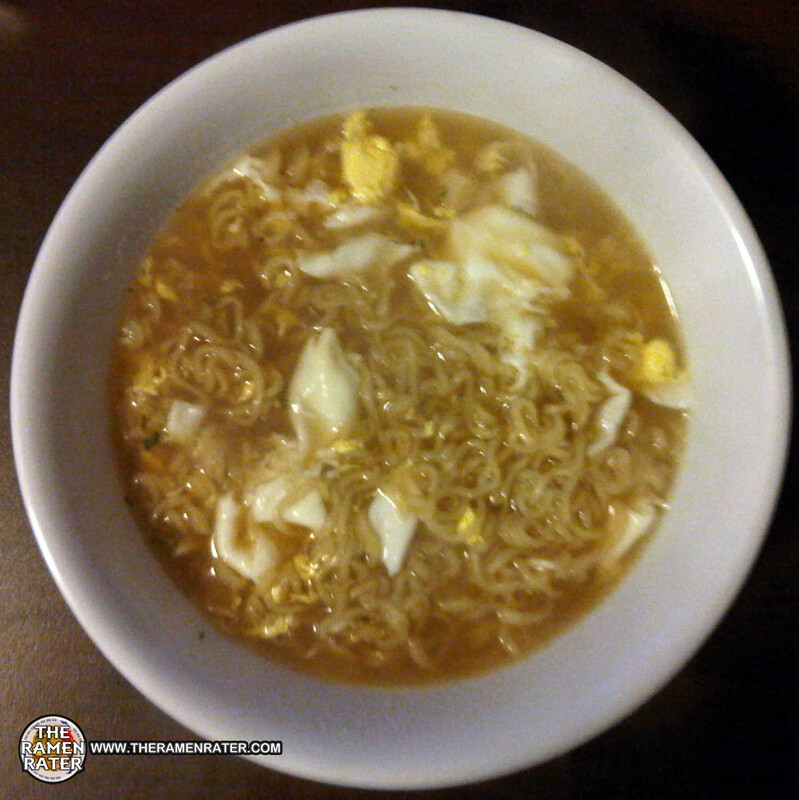 The egg was nice and complimentary and the noodles were adequate. I give this one a 3.5 out of 5.0 stars. Get it here. 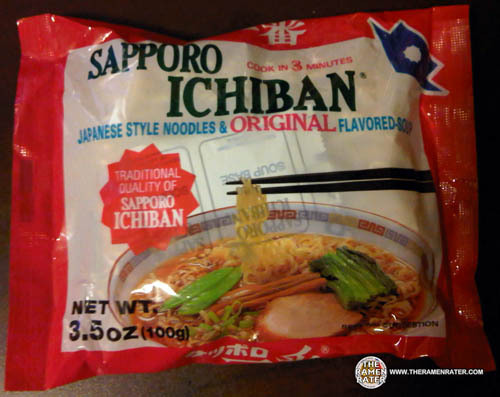 This entry was posted in * Stars 3.1 - 4.0, Other, Sapporo Ichiban and tagged eggs, honda, ichiban, japan, Noodles, original, Ramen, ramenrater, rater, sapporo, soy sauce on November 19, 2010 by Hans "The Ramen Rater" Lienesch. This was the brand of ramen I found in a pinch at Walgreens ond day. I prefer it over any type of Top Ramen or Maruchan ramen anyday. I think the soup base is great, I am probably biased with the Japanese ramens in the first place anyway since I spent 2 years there eating the stuff regularly. It’s review #207, not 207th place.